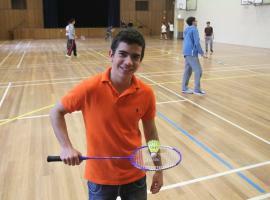 Get ready for high school in Australia. Our English for High School program gives you the tools to achieve your potential. Want to work and travel in Australia? Open up job opportunities and increase confidence with your improved English skills. 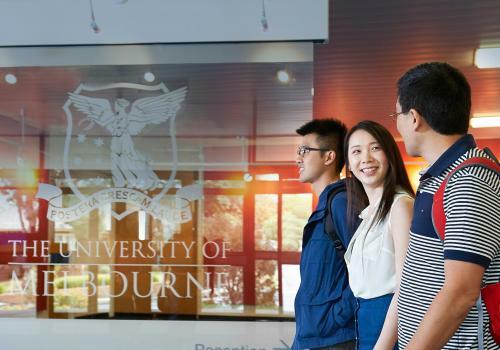 Prepare to study at Australia’s No.1 ranked university with our University of Melbourne English Language Bridging Program. Our English school is located on the University of Melbourne’s Hawthorn campus. Hawthorn is a leafy suburb of Melbourne with excellent bus, train and tram connections, parklands and shopping. Students love the university campus facilities, such as the lecture theatre, large library, gymnasium, canteen and independent study areas. Many of our students go on to study at local high schools, the University of Melbourne and other direct entry partner institutions. Our Student Services Manager Elise Fraser is one of many Hawthorn-Melbourne staff dedicated to making your time in Melbourne happy and productive. The student services team will help you to find accommodation and settle into life in Australia. Student services staff like Elise will give you the tools and advice you need to be confident in class, and confident outside the classroom. Established in 1986, Hawthorn-Melbourne specialises in preparing students for further study in Australia and is an established pathway for international students to tertiary institutions and high schools. Hawthorn-Melbourne is endorsed by the University of Melbourne as a provider of English language intensive courses for overseas students in Melbourne.